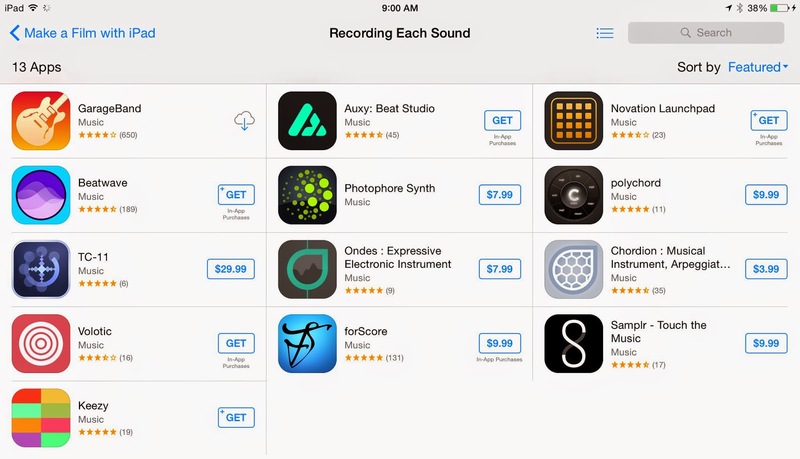 I Happened across this featured category while perusing the App Store on my iPad today. 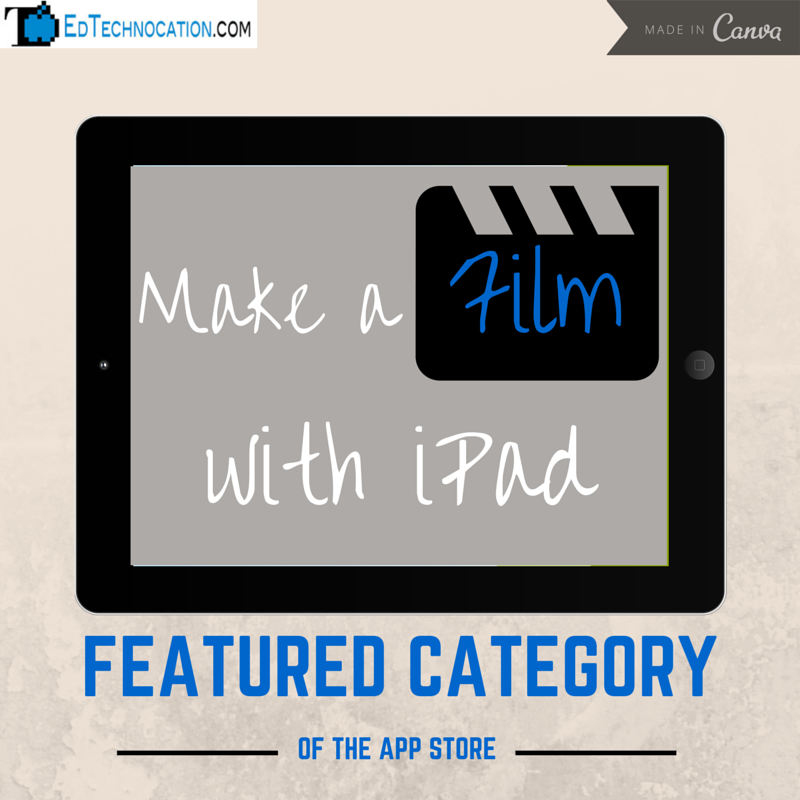 It features an assortment of apps to help you create your own "film" on the iPad from planning and pre-production to the end. Here is a closer look at what's available. Although this featured category isn't necessarily focused on education, I think it's particularly useful for student projects that involve producing a movie or film. If your students have access to iPads at school (or maybe they bring their own from home), having the right tools can make a huge difference in quality! 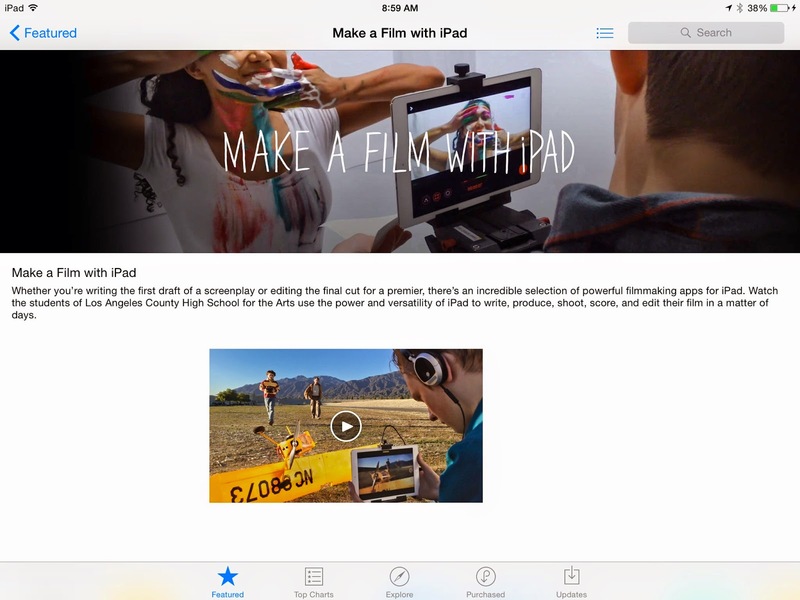 As of 2/25/15, Make a Film with iPad is a featured category in the App Store app on the iPad. You can find it in the scrolling categories across the top of the Featured screen. You can also find a web version here. What apps would you suggest for video production on the iPad? Share them in the comments!